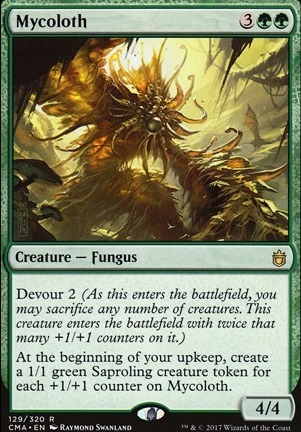 Does devour trigger death effects before the devourer gets tokens? Does Mazirek, Kraul Death Priest afftect Mycoloth entering? 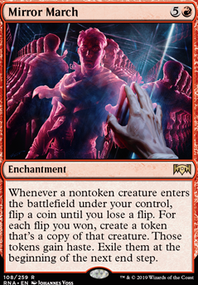 How do multiple tokens created by the same trigger enter the battlefield? Cloudius on Unleash the Horde! Steiger Thanks for the upvote and suggestions. Oran-Rief is already in the deck. I didn't play as much +1/+1 counter cards as it'll dilute the token production aspects of the deck. 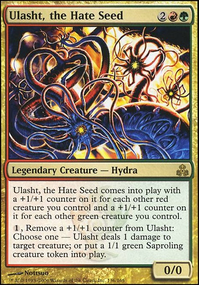 Mycoloth fits the theme well for sure, but for 5 CMC, Tendershoot Dryad is a stronger contender. Steiger on Unleash the Horde! I really like your deck. I am going to borrow some ideas. Champion of Lambholt is a good wincon. I think I might add Oran-Rief, the Vastwood for more counter production. Seems Mycoloth might be worth considering in yours. Eat some tokens and add some counters then make more... lots more. Great looking deck! 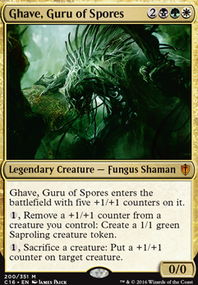 We would probably replace Nacatl War-Pride with Mycoloth though, because the amount of tokens it generates does not depend on the amount of creatures any opponent would control. Also, since you tend to go wide a lot, and you're already using some boosters like Pathbreaker Ibex , have you considered adding Craterhoof Behemoth ? 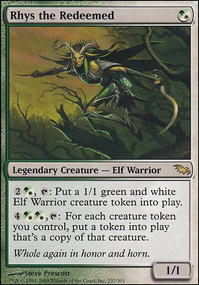 Last but not least, Umbral Mantle will often allow you to get infinite when combined with Gyre Sage , Karametra's Acolyte and Selvala, Heart of the Wilds . Have fun playing! 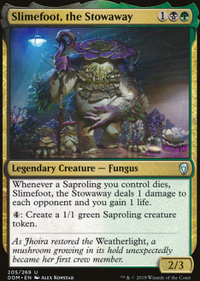 And as a fellow mono-green player, would you care to share your thoughts on one of our mono-green decks: enter link description here? We're very interested in your feedback.